FOR ALMOST 50 YEARS, the infamous B-Specials, a bigoted and sectarian loyalist police force, carried out a reign of terror against the nationalist population of the North. During the summer of 1920, at the height of the pogroms by loyalist mobs against the nationalist community of Belfast, the Ulster Volunteer Force (UVF), a sectarian and private army, began carrying out joint patrols with both British troops and the Royal Irish Constabulary. In an attempt to regularise this reserve role, the unionist leader, James Craig, demanded the establishment of a Special Constabulary, which in effect meant making the UVF an official government force and arming them. In September 1920, at a meeting of the British Cabinet, it was agreed to raise a Special Constabulary of “well-disposed, loyal citizens” to operate in the Six Counties. Recruiting for the Ulster Special Constabulary began throughout the North in November. The UVF made strenuous efforts to enrol its members and in many places the RIC openly appealed to UVF members to join. In some areas, whole UVF units formed special platoons and where there weren’t enough UVF men they were recruited from the Orange lodges. The Special Constabulary was divided into three groups: A-Specials, who were full-time and were used to reinforce the RIC in their barracks; the B-Specials, who were fully armed but part-time and were used for local patrol duty; and the C-Specials, who were a reserve force, initially with no specific duties, but were available for call-out in an emergency. In December, the first batch of A-Specials took up duty and in February 1921 began patrols in Belfast and in other towns throughout the North. 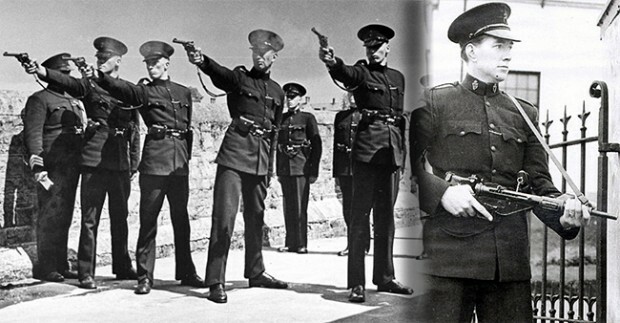 At the end of 1921, following the partition of Ireland and the creation of the Six-County state the previous June, the Northern regime, led by Craig, assumed control of the renamed Royal Ulster Constabulary and the Specials. At this time there were 3,500 A-Specials, 15,000 B-Specials and an indeterminate number of C-Specials. In 1925, the A and C-Specials were disbanded and allowed to keep their guns but the B-Specials, which were increased in number, remained in existence. During the following decades the B-Specials, along with the Special Powers Act, remained the key weapons in the armoury of the artificial, bigoted and sectarian state in the North. 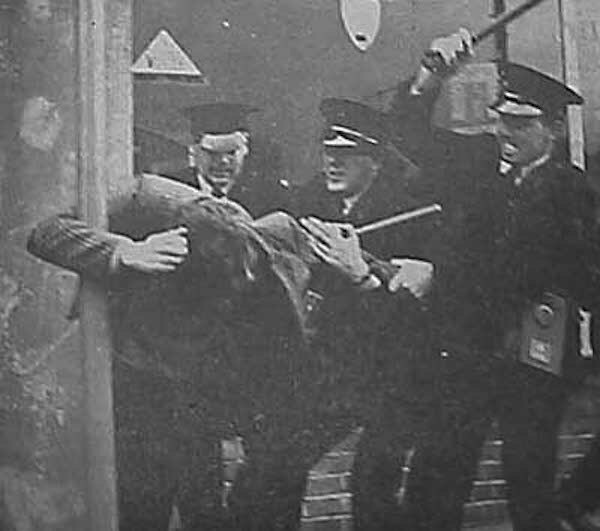 The B-Specials were responsible for anti-Catholic pogroms in every decade from the 1920s to the 1960s, and were heavily involved in the attempts to smash the civil rights movement of 1968-69, as well as the attacks on the nationalist areas of Belfast, Newry, Derry and other areas in the North in August 1969. With the eyes of the world focused on events in the North during the summer of 1969, however, the blatant sectarianism of the force became an embarrassment to Britain and in October the B-Specials were disbanded and a new armed loyalist force, the Ulster Defence Regiment, replaced them. Former B-Special members joined the UDR en masse and the change, in effect, only meant a change of name and uniform for the bigots of Northern loyalism. The first batch of B-Specials began patrols in Belfast and in other cities and towns in the North on 4 February 1921 – 95 years ago this week.